Preeto goes to check Harman’s room. Surbhi wakes up and sees Preeto. She gets alert and wakes up Harman. Harman asks what happened, can’t I sleep in some peace. Surbhi says Preeto is outside. She tells Harman that Preeto wants to know their relation truth. Harman and Surbhi sleep separately. Harman does not care if Preeto knows anything. He opens door and finds Preeto there. He asks her not to break his privacy. He tells Preeto that its his life and he will decide about it, she should not interfere in his life. He scolds Preeto and asks her to go and sleep. He sends Preeto. Next day, Harman keeps a small party and invites his friends. Harman spends some time with Soumya and is happy. He expresses his love to Soumya. Preeto acts sweet, and then plays a trick. She asks Soumya to come with her to prepare dinner, Surbhi can be here. One of his friend Sunny tries to flirt with Surbhi. Harman asks Sunny to have a drink and enjoy the party. Sunny says I m proposing Surbhi in a nice way, I m not misbehaving, why do you have a problem. Harman tries to explain him a lot and asks him to stop it. Sunny does not understand, and says Surbhi is your sister in law, not your wife, why are you getting angry. Harman beats up his friend and scolds him. His friend asks him why did he react this way, when its about Surbhi. Surbhi too gets thinking seeing Harman’s behavior. Preeto smiles and gets a hope that Harman and Surbhi’s relation is developing. Preeti thinks Harman is getting possessive about Surbhi. Harman asks Surbhi why did she come in front of his friends. She tells him that Preeto insisted her to stay there. 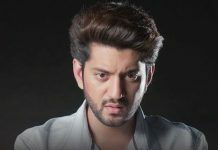 He gets angry and thinks to confront Preeto. Surbhi asks Harman not to scold Preeto, as the result will be bad, Preeto will scold Soumya and trouble her, which they don’t want. Harman is not in love with Surbhi. He just stood for Surbhi for her dignity. He clears this matter to Surbhi.